If you're looking for a yummy chocolate biscuit treat, then Cadbury Gifts Direct has a range of chocolate biscuits and chocolate biscuit gifts that you will love. Available to order online are delicious Cadbury chocolate covered biscuit tins. A great gift for friends and family or perfect to enjoy with a cup of tea. 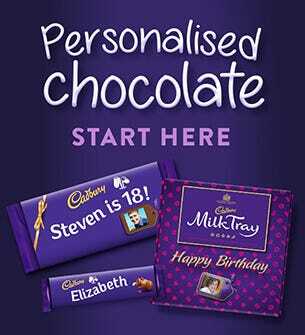 All our chocolates and gifts are delivered direct to your door and can come packaged with your special message.